Sweden Rock Festival 2012 Tickets are available at: www.swedenrock.com. Limited 3-day ticket Sweden Rock Festival 2012. T-shirt incl. 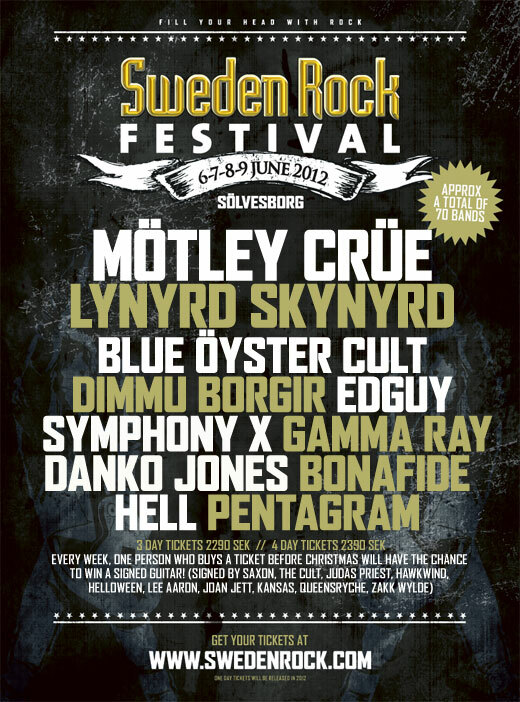 Limited 4-day ticket 2012 to Sweden Rock Festival 2012. T-shirt incl. Around 70 bands will perform on our 5 stages next summer.